That's Roslyn on the cover of my book too. Do you think it looks like her? Chris’s image is loosely modeled on two boys from the family I lived with in London in the 1980s. 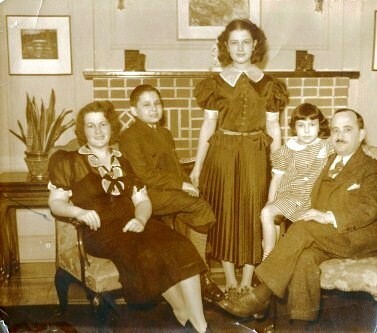 Roslyn Alpern Arnstein grew up in the only Jewish family in her neighborhood in The Bronx, New York. Her father was the principal of Evander Childs High School, an enormous school with thousands of students. He was also an air-raid warden, as I mention in the book. Roslyn's older brother and sister were extremely smart, and Roslyn herself skipped grades in school and graduated at sixteen. 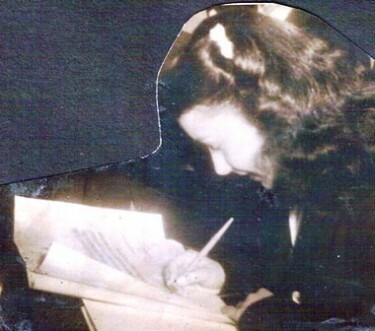 As a teenager, Roslyn loved to write, and her stories and poems were published in the high school newspaper. And she really did chat through the fence with the British evacuees that were housed at the Gould Foundation’s orphanage near her home. She’s never forgotten that one was named Christopher and that she liked his accent. In fact, I found mention of the real Christopher in a book about the Actors Orphanage. There was much anti-Semitism (hostility toward Jews) in New York City in the 1940s. Roslyn remembers times when garbage was thrown at her door and a cross was burned in her front yard. She also knew people whose families had fled Germany before the Holocaust that killed nearly 6 million Jews. Roslyn’s brother served in the military, as did many other men she knew. Some did not make it home. “It was a generation of young men we almost lost,” Roslyn told me, and that got me thinking just how big that war really was—so many sons and husbands and brothers gone. Though Roslyn was a sweet girl, she was also aware of the seriousness of war. One of my favorite stories she told was how she used to worry that the man she was supposed to marry would be killed in the fighting. That story first got me thinking about the kinds of conversations Miriam might have with Chris, the kinds you can only have with a very good friend. 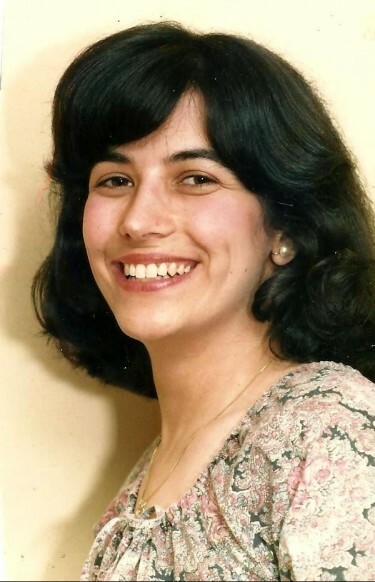 After high school, Roslyn got a degree in Sociology from Wellesley College, and then a master’s degree from the Columbia University School of Library Service. 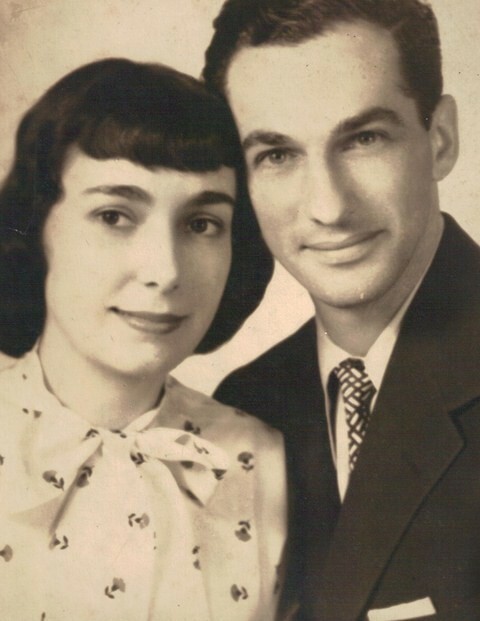 As it turned out, the man she was destined to marry, Paul Arnstein, did fight and was wounded in the war, but he lived to start a family with Roslyn. They had two children. Their daughter, Barbara, is a professional writer. Roslyn passed away on Sept. 19, 2017 at nearly 88 years of age. 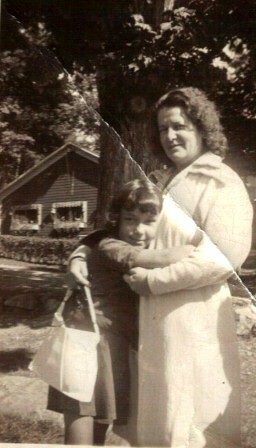 I hope you enjoy reading about some of my mother’s experiences growing up during World War II. Asking relatives and other people about their childhood experiences and the most important things they learned from life is both interesting and enlightening because it’s like talking with travelers who have been to fascinating places you can never visit. I have interviewed hundreds of people about their careers for magazine and newspaper articles including authors, actors, acrobats, comic book artists, comedians, and clowns, and learned so much from them. Remember, current events become history, so pay special attention to what’s happening around you as you grow up. Someday you will be one of the special tour guides of time, guiding others through a unique place only you really know: your life! Here's a scan of an actual column from Roslyn's high school newspaper featuring a story she wrote. 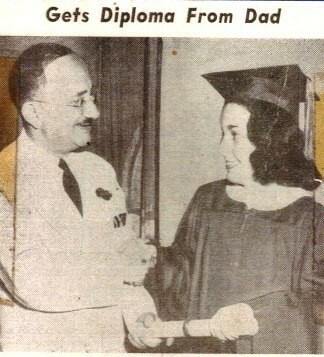 Roslyn's father was the principal at her high school. To see some great old pictures of Evander Childs High School in the Bronx, click here.